Here’s a question from a certain Lady L.E. through a private message on Facebook: People who call themselves financial advisors, consultants, and so on, from insurance companies, mutual funds and even my bank, have been offering me various financial products. Three different advisors have visited me at home, and two others have shown up at my office to present to me their plans. It is really difficult for me to decide on their offers because I feel like I might get into trouble with the other advisors. How can I choose the right financial plan for myself? Well, I can understand or sympathize with you, Lady L.E. If you happen to be a person of high kinesthetic approach, surely you have a situation to handle given that it is difficult for you to imagine hurting other people. Now, let us try to have a different perspective about personal finance. It should not be based on whoever your adviser or consultant is. Regardless of they are, it should be based on you. It is not what they think that is best for you, but rather, based on how your choice would make you feel good and comfortable, considering your current situation, goals, and your life’s objective, and how you like to use your finances to enjoy your life to the fullest. Always remember this: in doing personal financial planning, it is all about you! And you may include your loved ones because they are the ones that keep your world turning. There are a number of advisors available in the market today. First, advisors who work on commission basis. Connected to a certain company, these individual advisors have a set of targets to achieve, or they have quotas to meet as assigned by their respective companies. They are well versed on their products’ details, including the pros and the cons. If the agent is a representative of an investment house or an asset management company, he or she is a mutual fund representative. These representatives get their license to sell from the Securities and Exchange Commission. They specialize on mutual funds, aiming to make your money grow over time. If the representative is from an insurance company, he or she is an insurance agent. Insurance agents get their licenses through the Insurance Commission. They specialize on insurance and variable unit link products (an investment plan that has an insurance component). If the representative is from a bank, he or she is most likely a salary-based employee, receiving also a little percentage of the transaction as commission. This group of representatives does not specifically have any license to sell, but the banks they work for do. They get training from their respective banks. They specialize more on their bank’s products and on investments such as UITFs (unit investment trust funds). With new innovations from banks, they now have bancassurance. This is a combination of bank products with insurance products. There is a fee-based kind of advisors—they do not specifically represent any financial product providers like insurance companies, investment houses and banks. This type is well versed in all aspects of personal money management and most of the time, they have their own consultancy or company to maximize their potential in helping other people with their personal finance. All of the advisors mentioned above are all capable of helping people achieve financial peace. However, at some point you have to be aware of certain qualities that they need to have to serve your purpose for choosing them. First, they should be client-centered, and in this case you are the client. Most of the time, this is the biggest problem. Advisors should be good listeners. They ask you good questions to determine your specific financial need. They would not jump into conclusion that the products they sell are exactly what suit you best, but instead, would show an appreciation of your specific circumstances first. It’s just like you wouldn’t want a doctor who would suddenly recommend an operation for your aching stomach without first conducting proper examinations and tests. Would you instantly believe and follow such doctor advice? Of course, not. Doctors have made one major vow: Do no harm to their patients. Likewise, financial advisors must do no harm to their clients. Second, look for advisors who are technically knowledgeable about financial concepts and familiar with the vocabulary, who have proper credentials and certifications. To determine if the advisor is technically competent, ask him or her this question, “Do you know what TVM is? Please use TVM in computing my financial goals?” If he or she is puzzled by what you just said, then I guess you have a problem, because TVM is a basic tool for personal finance. Third, look for advisors who put high value on honesty and integrity in his profession. Look especially for advisors who are honest with themselves, who keep on improving their skills and enhancing their services to clients. If you intend to seek the services of a financial advisor, always look for these qualities. For sure, you will be guided accordingly by always being observant. Avoid those who have biases. In our market, biases are all over the place. You should be careful with people or advisors who are always defensive about their products and companies. Most often, fee-based advisors are not biased for any type of financial products because they don’t represent any. They are biased for the welfare of their clients because they receive their income from the clients. 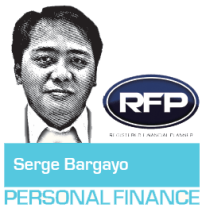 Serge Barcenas Bargayo is a registered financial planner of RFP Philipines. 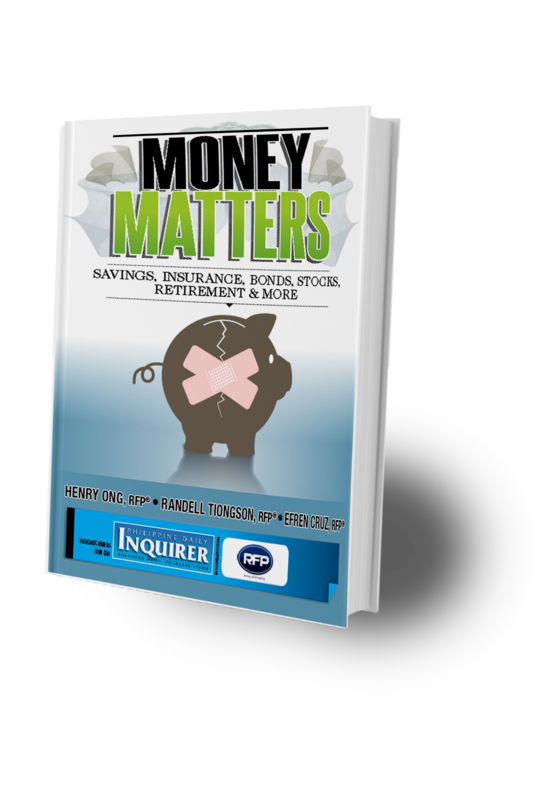 Learn more about financial planning at the 60th RFP Program this Feb 25, 2017. To inquire, email info@rfp.ph or text <name><e-mail><RFP> at 0917-9689774.